FlowGuard Gold CPVC Pipe and Fittings Plumbing Solution | Lubrizol Advanced Materials, Inc.
For 60 years, FlowGuard Gold® Pipe and Fittings have provided reliable hot and cold water plumbing systems to residential and commercial buildings. In 1959, we developed CPVC (Chlorinated Polyvinyl Chloride) as a tough, reliable plumbing material. Today, millions of homes and businesses around the world trust FlowGuard Gold® CPVC to deliver clean, safe drinking water. In addition, FlowGuard Gold CPVC’s quick, easy installation and proven track record make it the preferred choice of plumbers and distributors. Discover why FlowGuard Gold Pipe and Fittings are the most well-established non-metallic piping products in the market. 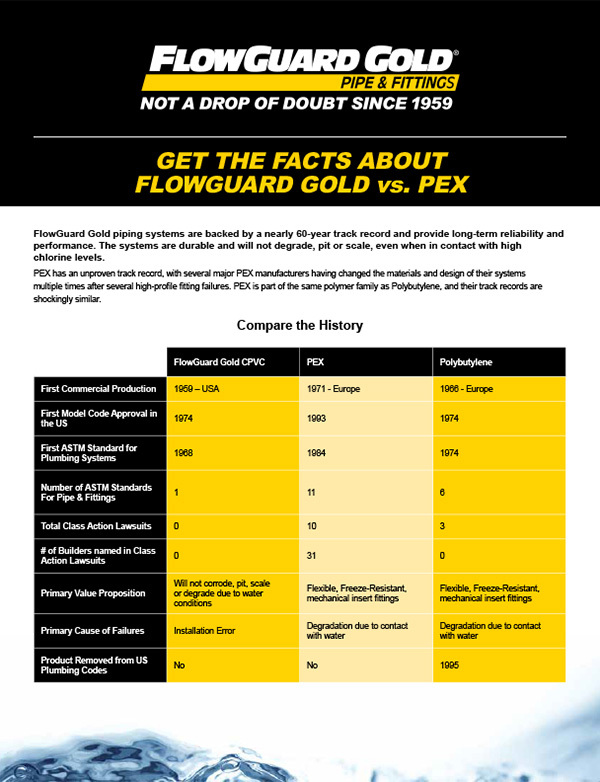 Get the facts about FlowGuard Gold CPVC versus PEX. 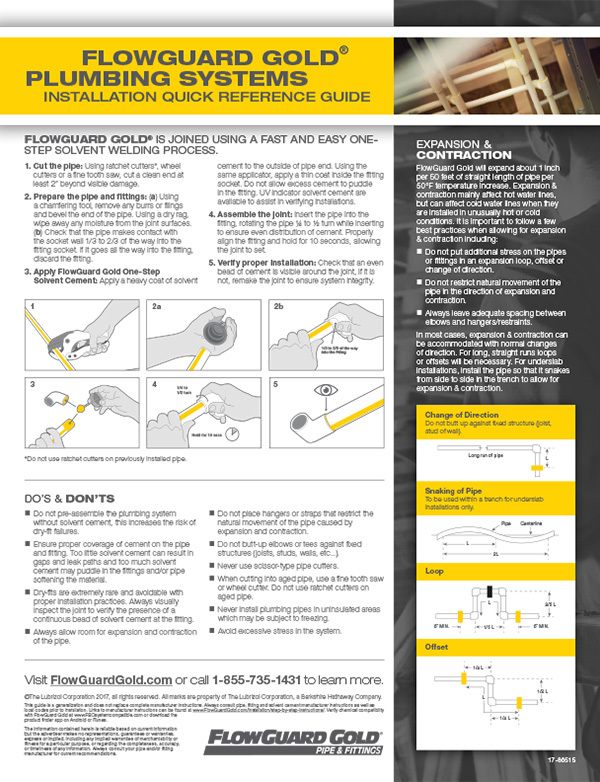 Our industry leading customer support makes it easy for you to switch to FlowGuard Gold CPVC. FlowGuard Gold Plumbing Systems conform to industry standards and are code-approved across North America. The company exclusively uses FlowGuard Gold® on projects specifying CPVC and touts the benefits of the strong partnership. Throughout their growth, Homes by WestBay has trusted FlowGuard Gold® CPVC exclusively in all their homes. Since making the switch to CPVC, Cristo Homes has constructed hundreds of homes without any plumbing problems. FlowGuard Gold CPVC is joined using a fast and easy one-step solvent welding process. 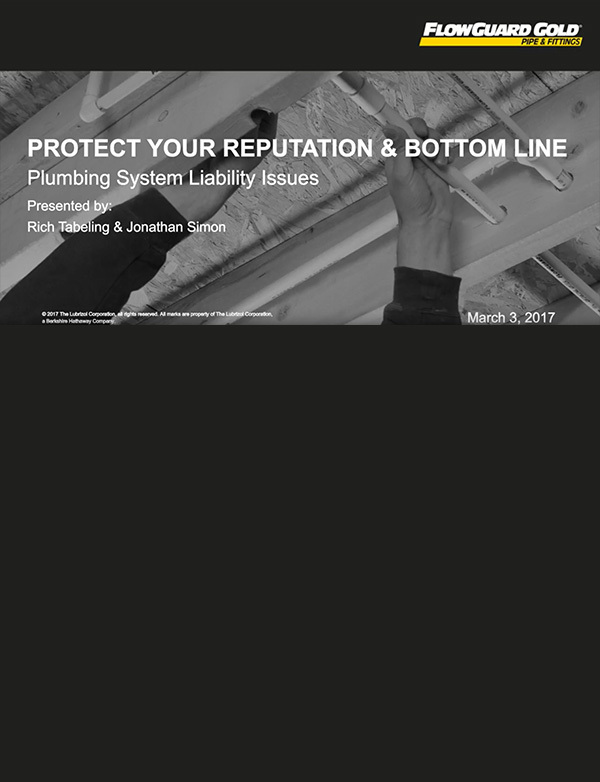 Learn about several important issues surrounding piping systems including water quality, environmental performance and general liability issues. 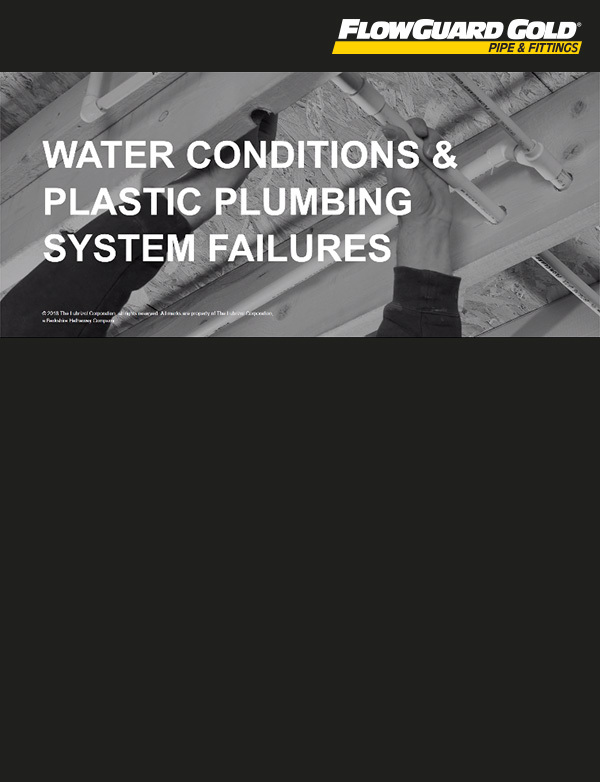 Learn how water conditions can impact the plumbing systems used in homes.